2018 saw its share of fresh compliance regulations. GDPR became effective in May, dramatically altering data operations for both European companies and those around the world that do business with European customers. The United States saw more than just trickle-down effects from GDPR, as California passed its own GDPR-like regulations, which will take full effect starting in 2020.
eCommerce companies can no longer watch from the sidelines when it comes to maintaining compliant operations. To avoid heavy fines, companies must pay attention to data and operations on every level – including the warehouse. With access to sensitive customer data, such as addresses, contact information and sometimes even payment information, the warehouse should be a foundational building block in the quest to make the entire supply chain data compliant. Consider these three areas when bringing your operations up to compliance-par. A key point of GDPR is customer accessibility and modification of their personal data, including the right to correct false or outdated information and the right to have all data erased. When evaluating your operations, consider how easy it is for customers to access their personal information – and how quickly. 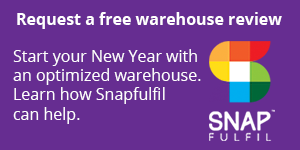 Consider a warehouse management solution that allows you to sync with your sales platform, so both systems can share information and more easily provide accessibility to customers. Regardless, you must evaluate your operations to ensure you are consistently tracking data throughout all phases of the supply chain, from fulfillment to sales. 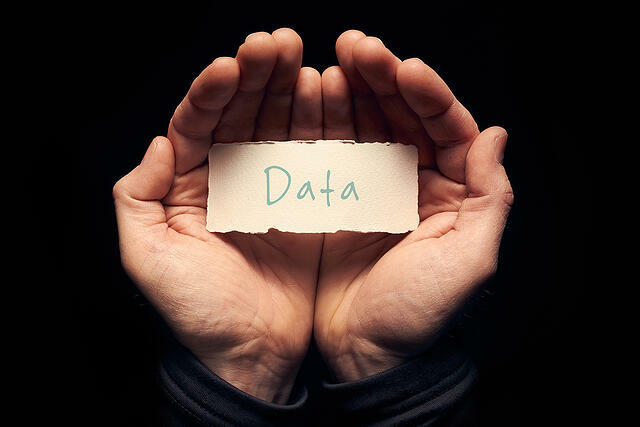 This will ensure your data is accurate while also streamlining the process of customer access – if requested. While data must be easily accessible upon customer request, security must be a priority. With GDPR, businesses are solely responsible for data security. As warehouses continue to adopt new technology, be sure to evaluate any vulnerabilities in your technology to ensure your operations don’t put customer information at risk. Make sure your firewall is current and any files with key information are encrypted. With more advanced technology solutions, work with your vendors to ensure the proper security precautions are in place in the event of an attempted attack. Make sure your partner is a trustworthy one, because in the event of a breach, your company will be responsible for any leaked information. Data breaches are a very real threat, with the number of attacks increasing daily. No company is completely immune – as evidenced by breaches at many large retailers, including Target. In the case of a breach, does your company have a strategic plan of action? If you wait until a breach occurs, the consequences could be dire. In fact, a key reason for the adoption of GDPR, in part, is to keep companies from waiting until after a breach to plan for a crisis. One rule requires breached companies to investigate, inform individuals, and develop a containment plan within 72 hours. To accomplish this, ensure your entire warehouse team is briefed on your strategic response plan in the case of a breach. By educating each member of the team on where data is stored, you can be better prepared to isolate and contain the problem – should it arise. Make sure you have an organized system of documentation to make reporting a breach simpler and faster, as you only have 72 hours to complete the paperwork and maintain compliance. Data protection concerns came to the forefront of eCommerce operations in 2018, and 2019 shows no signs of that slowing down. Though GDPR has yet to make its way into national U.S. law, it still affects many U.S. businesses, particularly in the eCommerce realm. As consumers demand more control of their personal information, data regulations will continue to rise for businesses across the world. Don’t wait until that happens to set up a strategic plan to manage data accessibility, security and a response to a potential breach.